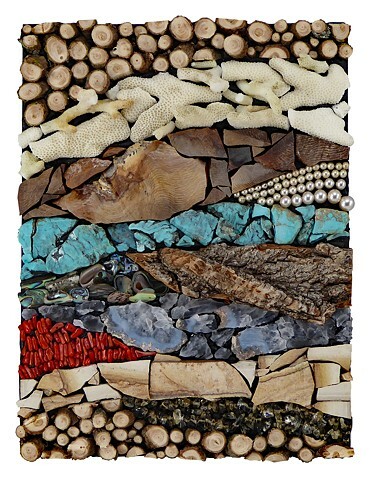 As a mosaic artist, Misha Moore relies heavily on recycled items pairing that with a rainbow of delicious color and a myriad of textures. She has worked primarily in stained glass, but is now branching out to mixed media mosaics, using found objects and natural elements. She focuses on the whimsical simplicity within this medium. She has created 2D and 3D mosaics including large scale commissions. Her art and stature are gaining momentum in the mosaics community. Misha serves as the President for Colorado Mosaic Artists a mosaic group serving the rocky mountain region.